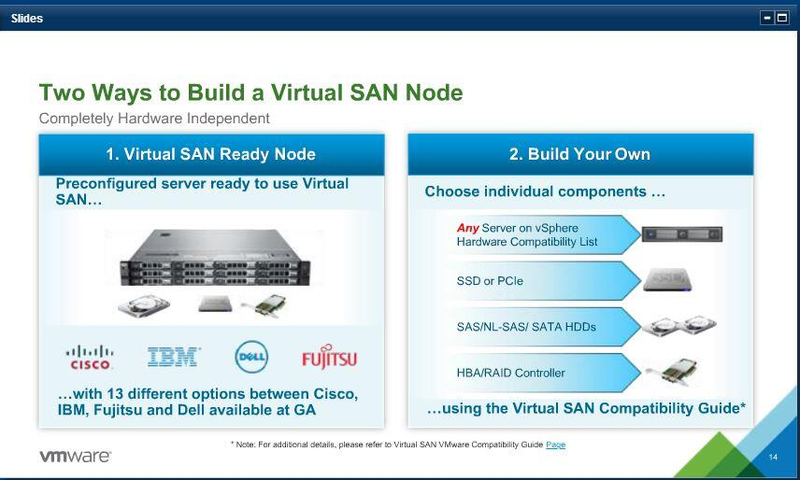 Congrats to VMware for launching VSAN! Are they a virtualization company or storage company? Yes. IMO to truly be software defined you should abstract to a none storage construct. In this case the move from managing LUN’s and brute force storage admin now moves to Policy Based Storage. Yep, a policy runs storage. Extending from my previous post on how “SDDC is like a Harmony Remote” VMware has now allowed us to add a new class of components to the remote control. Surprise of the launch seems to be the slow roll of 8 node beta going to 16 nodes (as announced at PEX) and surprise surprise it’s now 32 nodes. 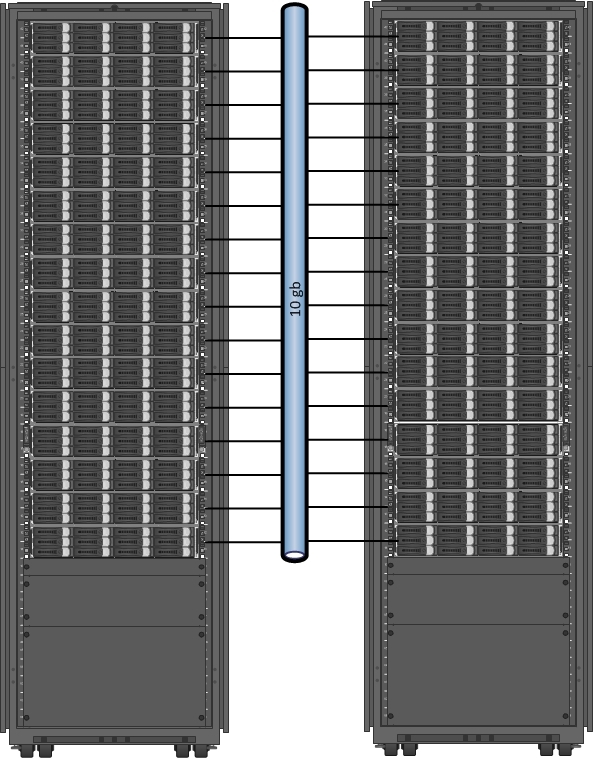 That’s up to 32 Servers with Direct Attached SSD and Drives connect (hopefully) with 10gb ethernet. That should provide a cool 2 million IOPS and 4.4 petabytes (not terabytes). Simple – 2 clicks, profile driven. Simple in design. Scalable – beyond what anyone will deploy anytime soon so fire away. Retrofit? – You have the potential opportunity to add DAS, 10gb, and software to replace legacy SAN. Holy crap that could be profound. What we don’t yet have; Pricing, HP Servers, experience (beyond the beta and engineering), and some comparisons to understand power draw, BTU’s, etc.